In this paper, we consider the problem of private searching on streaming data. 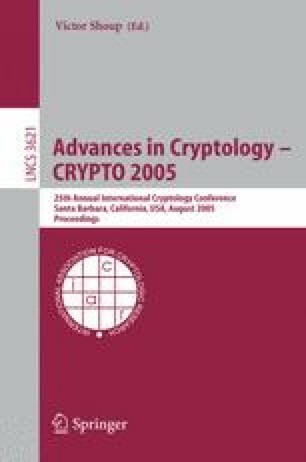 We show that in this model we can efficiently implement searching for documents under a secret criteria (such as presence or absence of a hidden combination of hidden keywords) under various cryptographic assumptions. Our results can be viewed in a variety of ways: as a generalization of the notion of a Private Information Retrieval (to the more general queries and to a streaming environment as well as to public-key program obfuscation); as positive results on privacy-preserving datamining; and as a delegation of hidden program computation to other machines. For the full version of this paper, see the IACR E-Print Archive.